by integrating Pipedrive CRM with NUACOM Phone System! 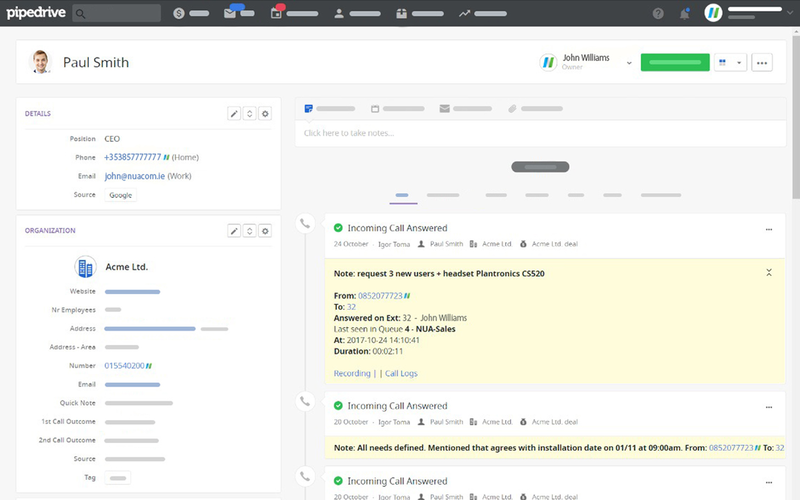 Our Click-to-call feature empowers your sales team to make more calls with less effort, eliminating misdialing. Call recordings are available for download directly from the Pipedrive interface. 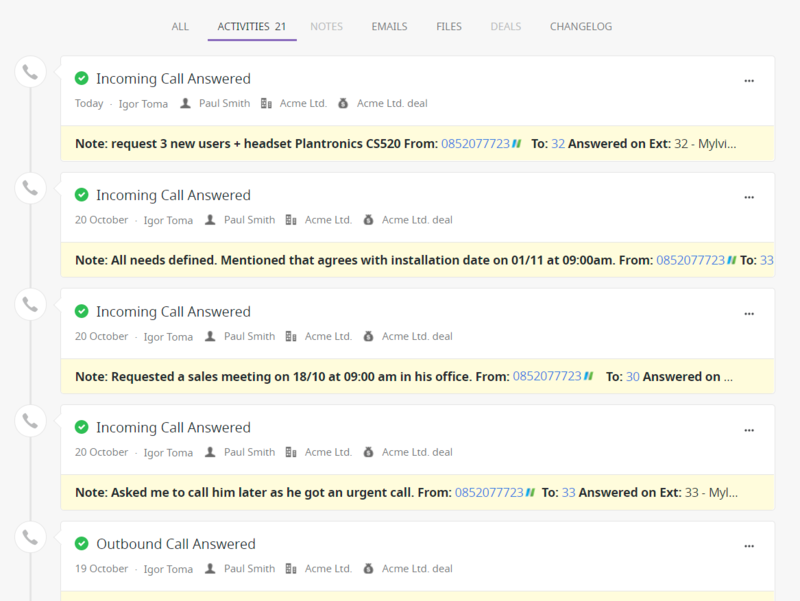 All lead Call Logs are displayed to your sales agent. Notes can be added to a call activity as a practical way to save the outcome of the conversation. Want help with setting up NUACOM with Pipedrive? © NUACOM 2009-2019. All Rights Reserved.